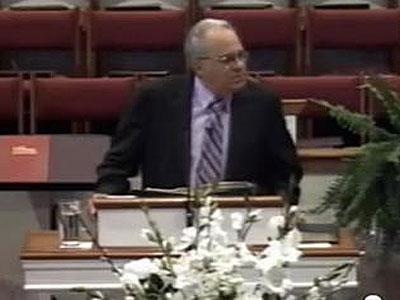 Pastor Charles Worley of Maiden, N.C.'s Providence Road Baptist Church recently told his congregation that lesbians and "queers" should be rounded up, placed in camps with electrified fencing, and left to die. Worley believes that placing gays in camps will ensure homosexuality dies out since gays "don't reproduce." Worley isn't apologizing for his sermon, saying,"We offer NO apologies in believing the King James Version (KJV) of the Bible is the inerrant Word of God. If you live in this area or are ever passing through, I invite you to come visit with us at Providence Road Baptist Church." A protest against Worley and his church is planned for May 27. Read more here.